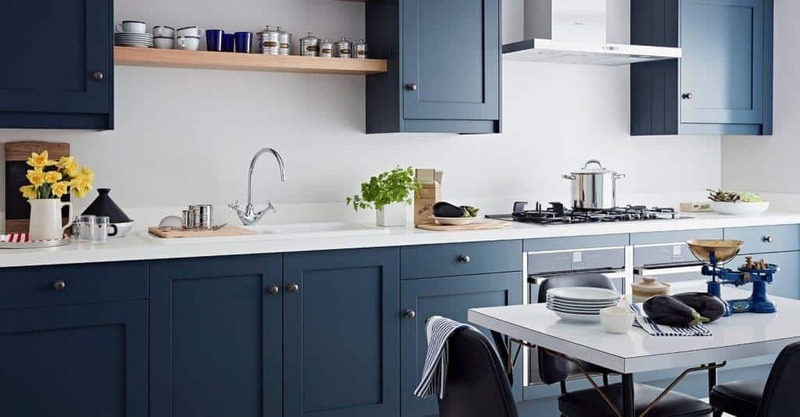 What is an Urban style kitchen? The Urban is a fabulous style of kitchen with a clean and contemporary feel. A truly versatile kitchen design the modern Urban kitchen shows off beautifully smooth finished cabinetry and understated slim handles. The stunning range is perfect for any modern interior and is available as in-frame or lay-on. 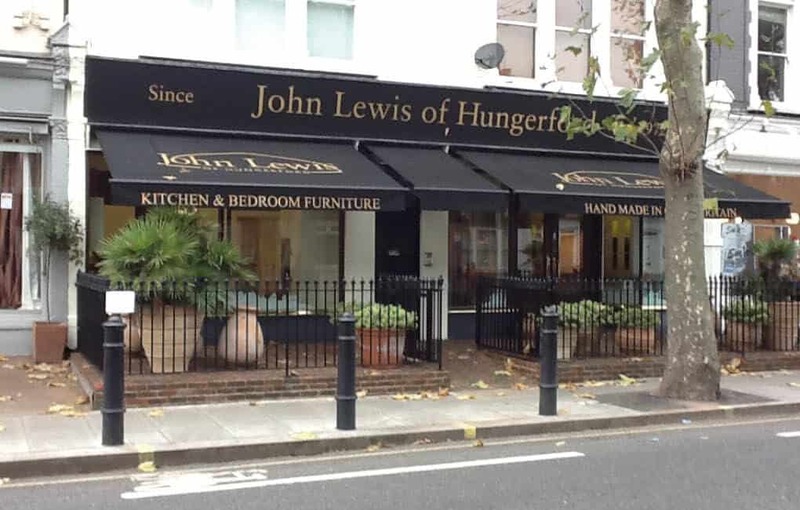 An Urban kitchen from John Lewis of Hungerford encompasses unique and contemporary style to provide you with a modern and cool kitchen for your home. 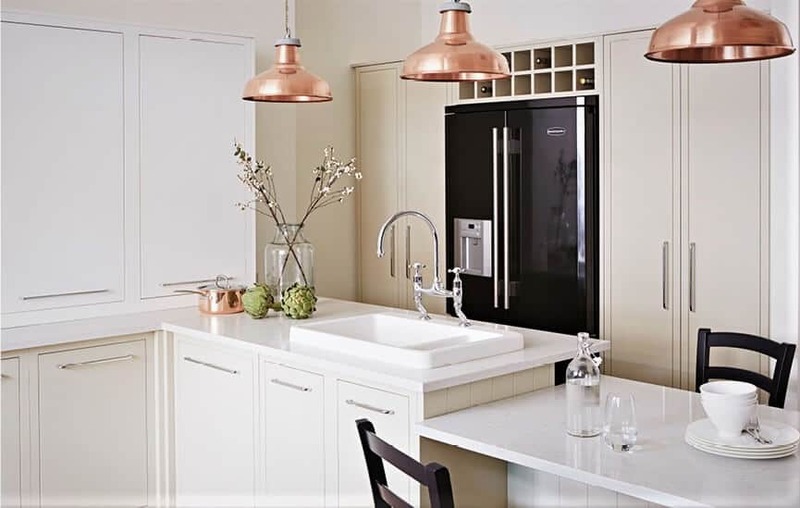 Our luxury urban kitchens can work in any setting, through the selection of colour and handles we can create a kitchen that oozes class and portrays your home and personality perfectly. The cabinetry fixtures offer a high level of flexibility allowing you to put your own stamp on your bespoke urban kitchen. Whether you opt to complete your home with the minimal lines of lay-on kitchen doors and drawers or the modern feel of the inset doors in the in-frame style, you will be able to sculpt your kitchen’s look down to the finest detail with a varied range of understated slim handles available to incorporate into your bespoke design. 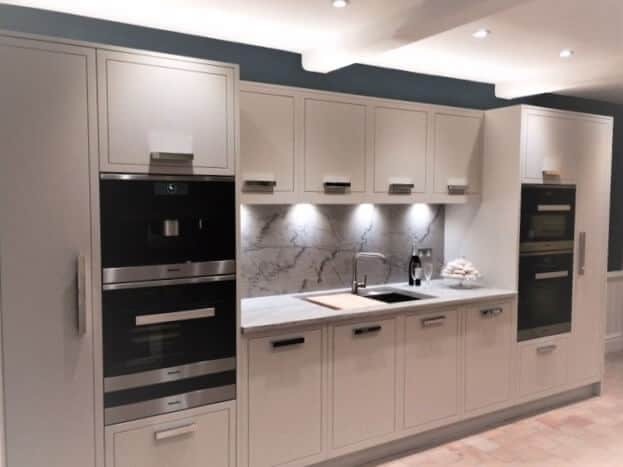 As with all our ranges the Urban kitchen range offers everything you need to create a cohesive kitchen design which balances astonishing visual appeal with the practicality and functionality that is expected of a high grade, modern kitchen. 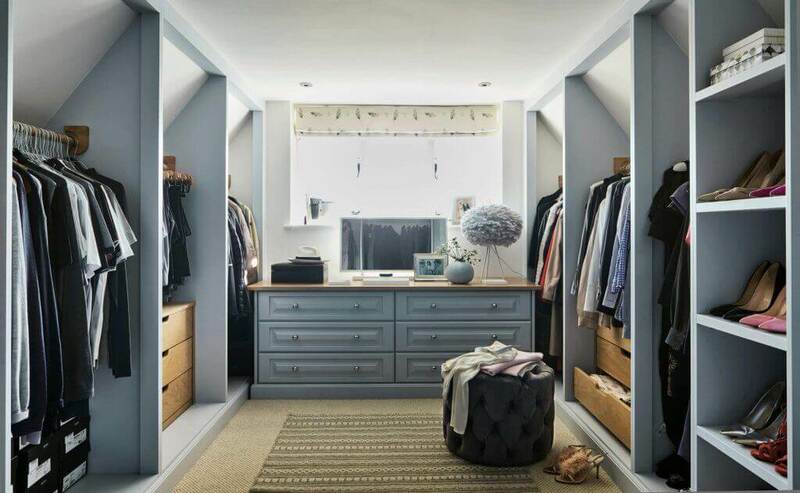 From the beautiful minimal lines of its lay-on cabinet doors to the clean and modern feel of its in-frame alternatives, the Urban range is a wonderful product of expert design and craftmanship. 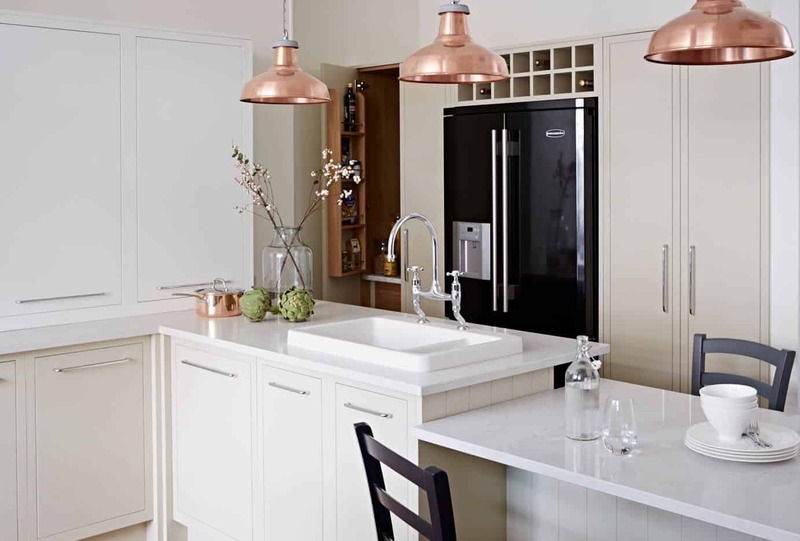 By choosing from a wealth of materials and textures for your Pure kitchen units and cabinets you can create your own distinctive and highly individual look. Urban could belong in almost any setting depending on the selection of colour and handles. 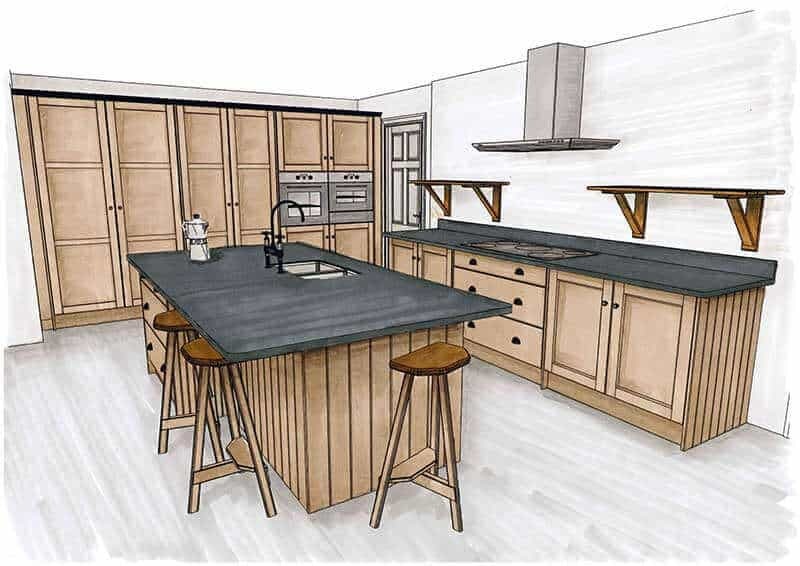 The cabinetry finishes are flexible enough to ensure that you can really put your own mark on this kitchen. Urban painted kitchens are available in two varieties. The confident Urban lay-on kitchen doors and drawers that deliver seamless, minimal lines. The visually stunning Urban in-frame with a matt finish exudes a clean, modern kitchen feel, perfect for any modern interior. 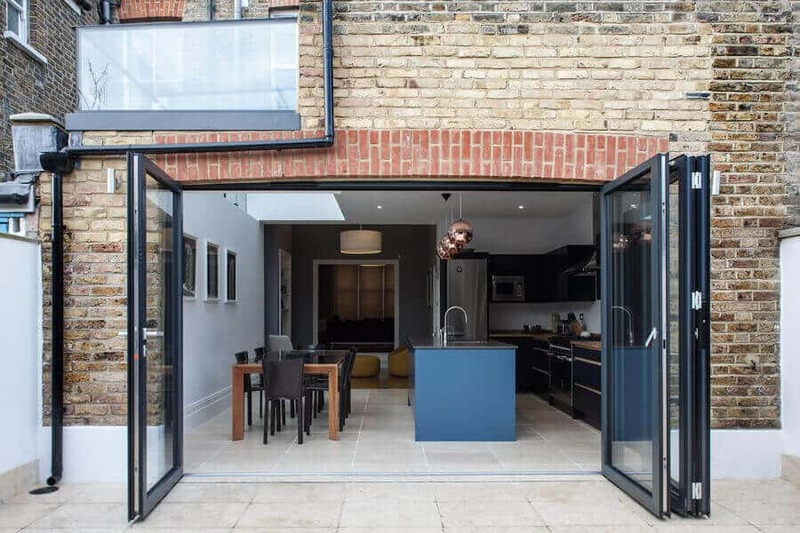 This popular design insets doors into the frame instead of overlaying. 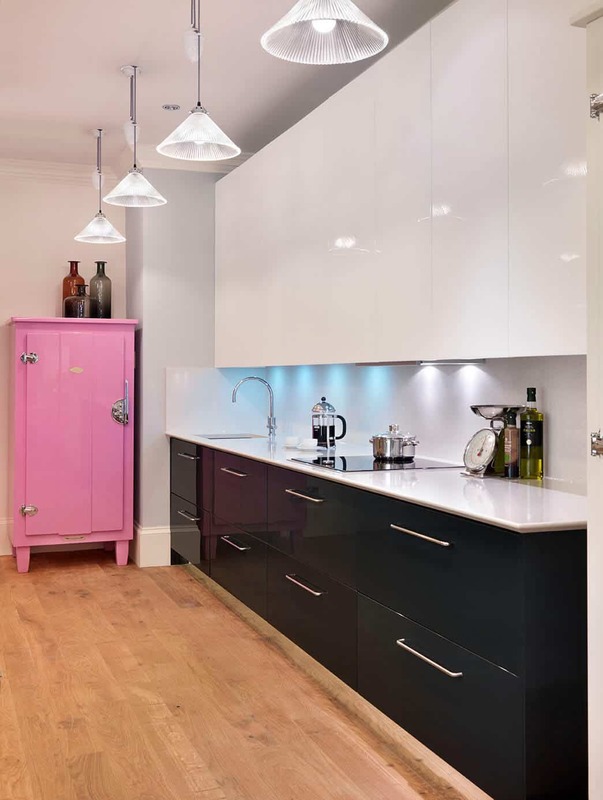 As with all our contemporary kitchens, colours can be combined to powerful effect. 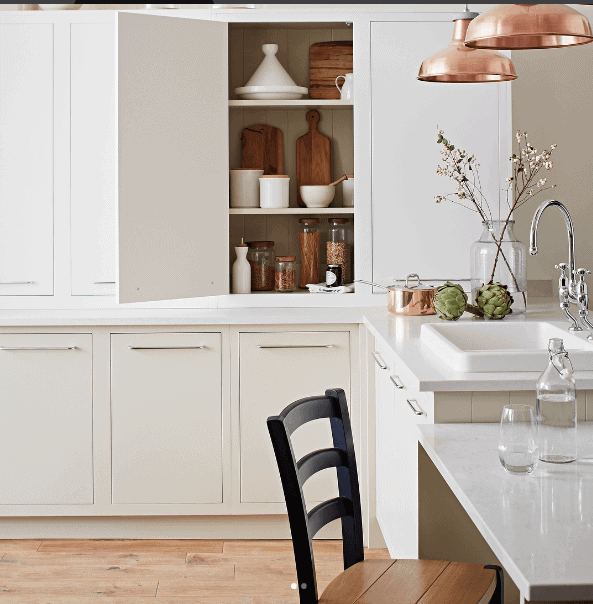 Painted cabinets in natural tones work fantastically well in Urban, but adding colour to neutral modern kitchens is a current design trend and one well suited to this John Lewis of Hungerford range. An accent colour on the inside back wall of the kitchen unit will add depth and visual appeal and makes for even more desirable urban kitchens. 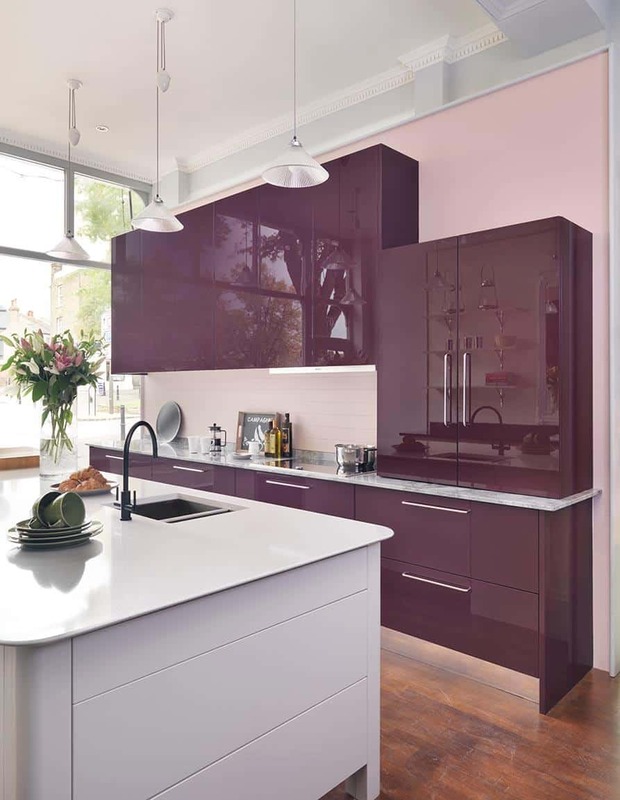 With the Urban kitchen comes a choice of 14 carefully selected gloss colours for you to choose from which will be hand polished to the highest of standards. 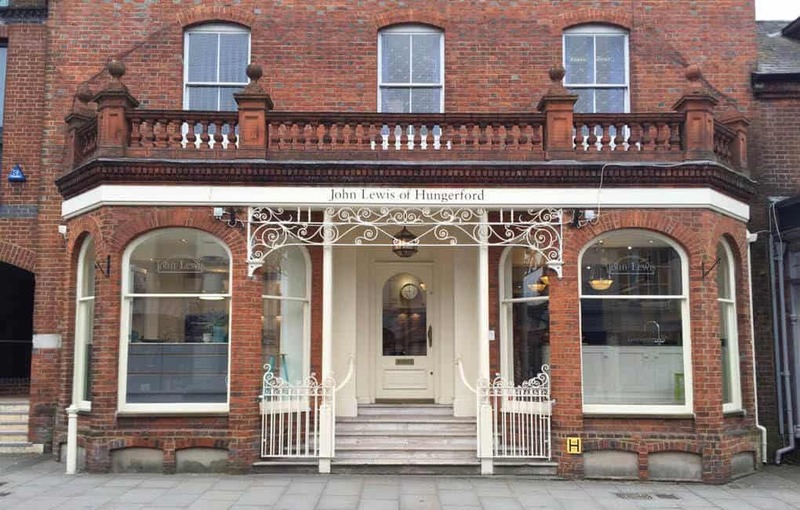 If you would prefer something a little different we also offer a palette of over 80 unique and extremely popular satin eggshell colours that provide a delicate porcelain finish. 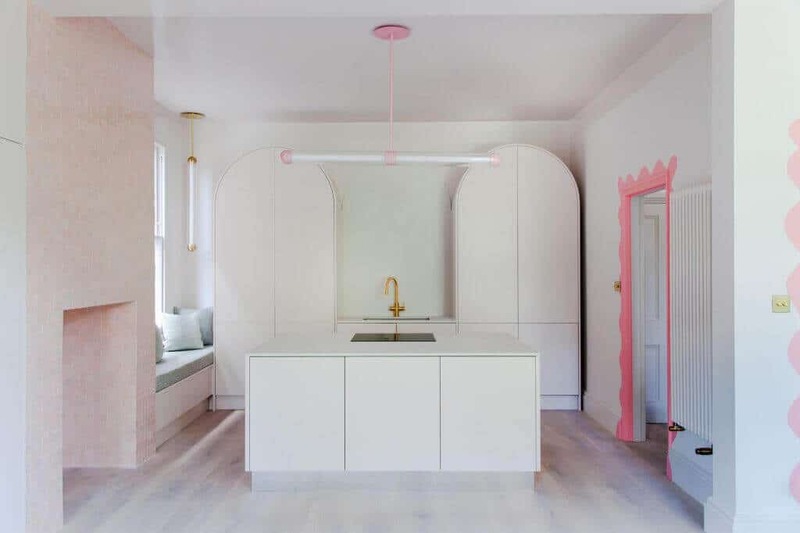 Stylish remodelling, clever use of colour and natural light gives this Victorian home a new lease of life. 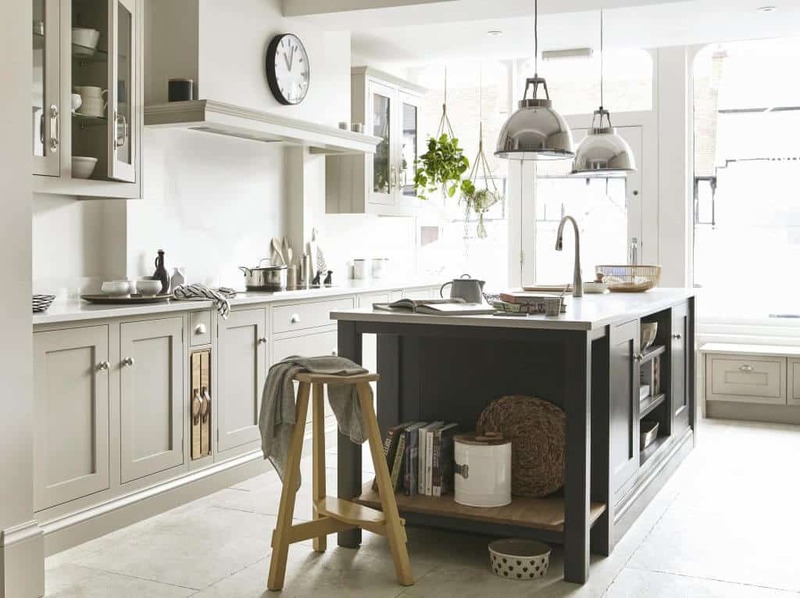 Find your nearest showroom and experience our beautiful Urban kitchens up close. 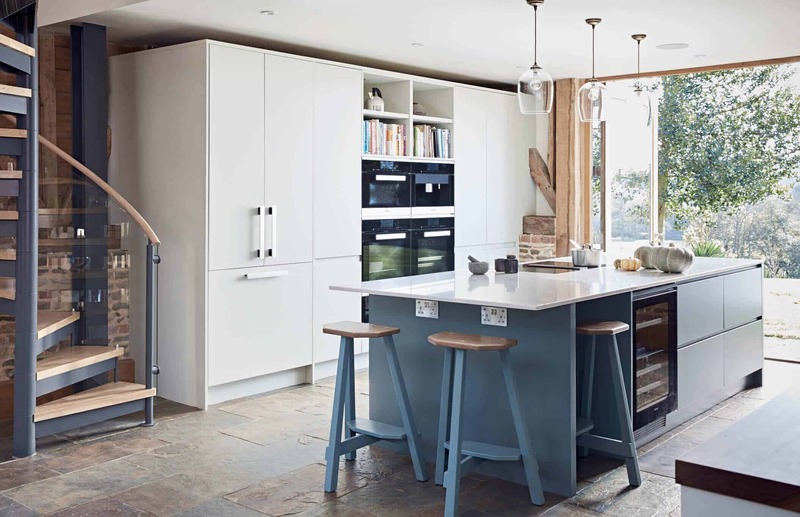 Browse our kitchen brochure for some Urban style inspiration. 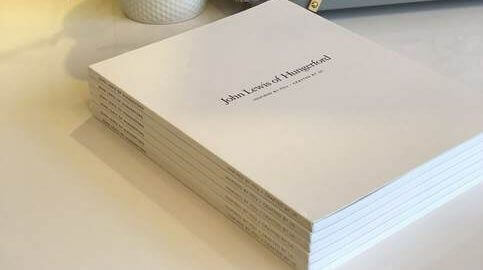 If our Urban kitchen range isn’t quite right for you. 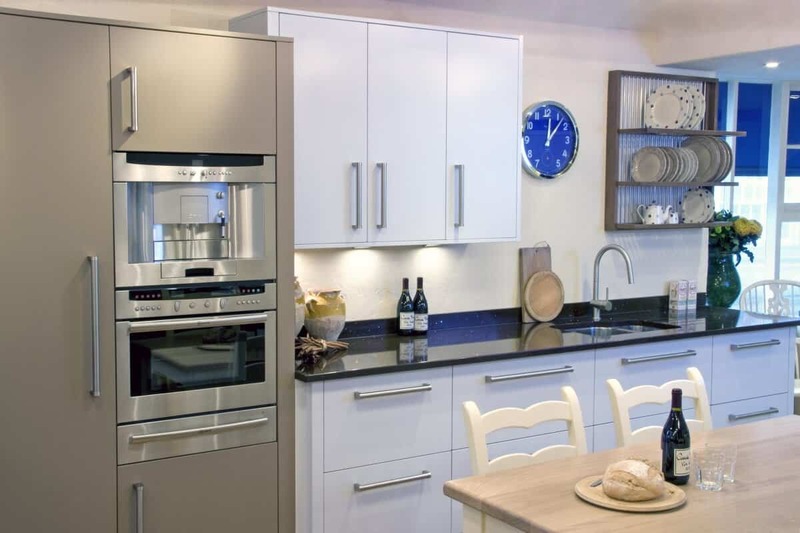 Why not have a look and some of our other kitchen collections.